Second edition of eBook available on-line from Amazon. Humor is probably a uniquely human characteristic, here humor is defined as A sudden falsification of perceived threat. The falsification presumes the perception of a lie, humans can recognize a lie, animals maybe not. The purpose of the paper is to expose the usefulness and scientific roots of the Artificial Psychology patent and support its commercial viability by statistical evidence. Full text is obtainable on-line. The purpose is to explore the statistical basis for a possible patent application based on the 4D model. To describe a hypothesis of personality structure where the dimensions derived by factor analysis can be interpreted in dual cognitive and motivational context. To explain an intuitive rationale behind linking humor type preference to post adulthood age. Humans are considered mature and accountable usually at age 18 yet their behavior keeps developing afterwards. Post adulthood age related behavioral development cannot be attributed to cognition otherwise it would be a legal issue, e.g. a systematic factor in determining the guilt or innocence beyond adulthood. Behavioral development has to be attributed to motivation. Cognition alone cannot mimic human behavior; not only because cognition is static but also because cognition requires motivation in order to define its context. 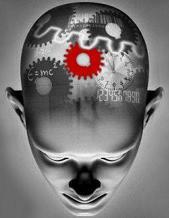 To propose a mathematically rigorous dynamic nonlinear model of motivation combining priming and homeostatic mechanisms. 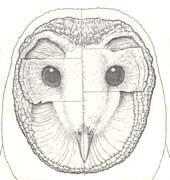 Initial findings were reported as: Barn Owls use ITD's as Elevation Cues, Animal Behavior Society (NERABS) Meeting, Univ. of New Hampshire, Northampton, MA 1994.